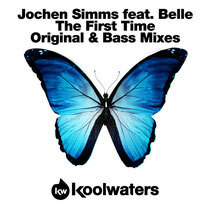 Koolwaters return once again with another helping of house music courtesy of Jochen Simms. Having seen his Hotfingers release 'You’re Not Alone' (of Olive fame) sit inside the Beatport House top 5, Jochen aims to follow its success with ‘The First Time’. Featuring the vocal talents of UK singer 'Belle', the track is a pumping vocal led houser with an infectiously funky Hispanic guitar breakdown which makes way for a sleazy, deep electro bassline groove which is interspersed with acutely placed vocal chops! As a bonus ,on the flip, Jochen has rehashed the original idea a little and created a dirty, groove laden, chunky affair suitable for the later, harder floors!